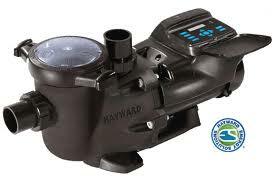 Hayward EcoStar Pool Pump Solutions from spectrumpoolcare.com. Offering reliable, professional and affordable installation, cleaning and repair services for swimming pools in cities of Los Angeles CA and surrounding area. Hayward EcoStar News and articles about your DWP Rebate Information. Call on the Service Technicians at Spectrum to provide up to date knowledge and expertise for your EcoStar variable speed pool pump installation. Ask about local DWP and SCE rebate incentives, and schedule an on-site visit today! The Ecostar pump is one of the most efficient on the market that performs so well and quiet, you may even notice it - especially during its conservation mode. As hydraulic science has advanced in the pool industry, plumbing diameters have increased and motors have been improved. The result of slowing down the water is maximal efficiency - having been achieved with the EcoStar design. Rather than running a pump at full power 100% of the filter cycle, the Hayward EcoStar pool pump can be preset to assist whatever the water feature requires. An integrated timeclock is internal to an on-board controller for 24-hour programming. With up to eight prefigured speeds and timer groups, the EcoStar can match and manage flows throughout the day. The net result is a lower decibal pump with lower costs to operate. For all of your questions, or simply to schedule an install give us a call today - our office staff is here to help. We have a team of CPO certified repair technicians, with years of experience standing by to assist you!